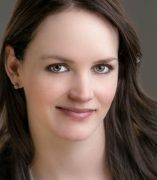 Jennifer Boles received her PhD in Latin American History at Indiana University in 2015. Her work and teaching interests combine documentary film production, film studies, and history to examine the intersections between major historical transformations, changing subjectivities, and cultural production from the 1960s to the present in Latin America. Her current work focuses on the history of an amateur eight-millimeter film movement in Mexico City and its role in navigating the rapid changes and contradictions of the early 1970s. She is currently writing several publications on this topic and finishing production on a feature-length biographical film about Mexican eight-millimeter filmmaker Sergio García and his expansive personal archive spanning over four decades of his life. She is also finishing a short documentary film about the Cuban novelist Edmundo Desnoes and his collage art.